We have a specialised department designated solely to advising clients on commercial property investment, whether the client wishes to acquire or sell a property. Where selling, it is important to establish the correct strategy. Sometimes this may involve extensive exposure to the open market whilst, on other occasions, a more targeted approach will prove more suitable and effective. Where acquiring commercial property, it is necessary to consider all angles from which a commercial property may benefit whilst at the same time analysing potential growth for the future. It is also important to be aware of any areas of potential concern which may catch out the uninitiated. 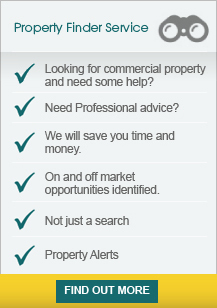 The property investment process requires intimate knowledge of the market and its mechanics.